ColorMouse USB - RM - High Quality, easy to use and affordable, the ColorMouse USB - RM electronic magnifier is compatible with any desktop or notebook PC using USB 2.0 and XP, Vista and Windows 7, 8, and 10. It is ergonomically designed for easy usage and it plugs directly into any USB 2.0 port. 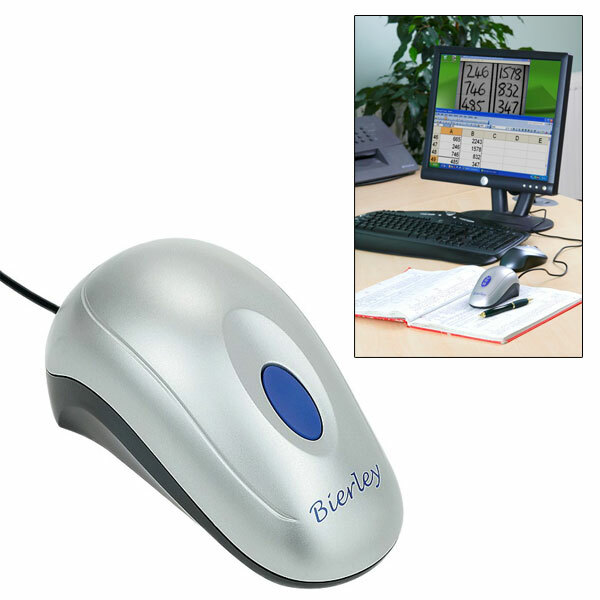 The ColorMouse USB - RM includes reverse mode (negative / positive images) which allows the user to view literature in three separate viewing modes. Change between a full color image, black background with white text and high contrast - white background with black text. It includes simple to load, full function utility software. It is designed to help you read schoolwork, office work, magazines, books, documents or other hard literature on your PC computer or laptop screen.